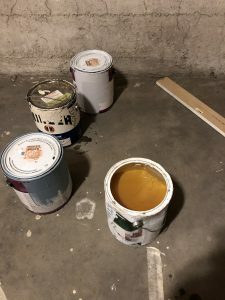 To whom it may concern: please remove the paint cans left in the basement at the entrance to the bike room and dispose of them according to city guidelines. 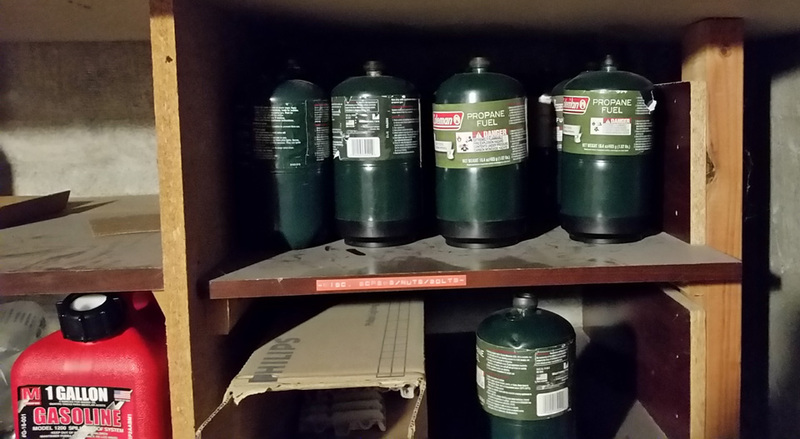 One can of what looks like oil-based paint has been left without a lid and poses a hazard to our building and its residents. Storage of unwanted items in common areas of the basement is not allowed. Please clean up after your projects. Recycle up to 35 gallons of unwanted paint free of charge at Metro Central or Metro South. Or, use Metro’s Find-a-recycler tool to locate drop-off sites near you. Please note: the MetroPaint facility at Swan Island does not accept unwanted paint for recycling. This entry was posted in Community Notices on April 18, 2018 by Jefferson. Many residents have reported that pet waste has been repeatedly left on and around the planting strips at the Randall Street entrance to our building. PLEASE PICK UP, BAG, AND DISPOSE OF YOUR PET WASTE. DO NOT LEAVE PETS OFF LEASH AND UNATTENDED. Our groundskeepers are not contracted to clean up after pets. There have also been reports of ongoing dog barking during the day which is disruptive to residents. Fortunately, many daycare options are available for those who must leave pets while away. Kindly be considerate of your neighbors, the grounds, and all common areas. This entry was posted in Community Notices on December 5, 2017 by Jefferson. Please do not leave any personal items, INCLUDING SHOES AND UMBRELLAS in the hallways, basement, or any common areas inside or outside the building. Please make certain the entrance doors are completely closed and locked behind you coming and going. The south entrance is occasionally problematic—to open the door turn key to the right and/or push the panic bar to ensure it closes. Make sure your window unit is installed properly and securely. Manufacturers recommend removing, maintaining, and storing units for the winter. The garbage disposals installed in the units are great for clearing your drain of small food scraps. The plumbing in this building is not meant to carry large quantities of food waste. When using the disposal run plenty of cold water. Please do not leave trash, unwanted furniture, or other belongings outside the bins in the trash collection area. There is a Goodwill several blocks west on Sandy. Kindly deposit all trash and recyclables allowed by the city in the bins in the gated and locked enclosure outside the building. The collection service will not pick up items left outside of the bins, or glass if bags or other trash is in the bin. Simply use your building entrance key to unlock the gate. Please be sure to close the gate behind you. Packages delivered outside the front entrance or interior mail reception area are at risk for theft. For one more layer of security, the interior door to basement storage is now locked but may be unlocked with the common key. Bikes may be stored, at the residents discretion, in the basement and should be locked to the racks in the most theft proof manner possible. Report theft to the Portland Police. Condo dwelling is not for everyone but practicing a few simple courtesies contributes to a more amicable life for all residents at the Chasselton. Quiet hours are from 10 pm to 7 am. Please refrain from playing loud music and running noisy appliances during this period. Kindly be aware of how smoking in your unit and near the exterior of the building will affect your neighbors. Please dispose of cigarette waste properly, not in the planters or on the grounds around the building. If you have an issue with a neighbor speak with him/her. It is not up to the property management group or the Chasselton board to mediate conflicts between residents. Parking has become increasingly competitive around the building. Avoid a ticket by noting that parking has been prohibited from all sides of the Randall | Buxton | 28th Ave triangle. Register for important messages, more news, and information about our community. Nicholas in unit #33 may have dropped his phone (Black LG G3) on 28th just outside the front entrance late on the night of the 24th. If found, please contact Nicholas at meyern87@gmail.com. This entry was posted in Community Notices on May 26, 2017 by Jefferson.